GLENDALE, CA/USA: February 21, 2016- A zoom in shot shows the front entrance to the Glendale California City Hall building. A sign for the location is seen over the vaulted and tiled door frames. 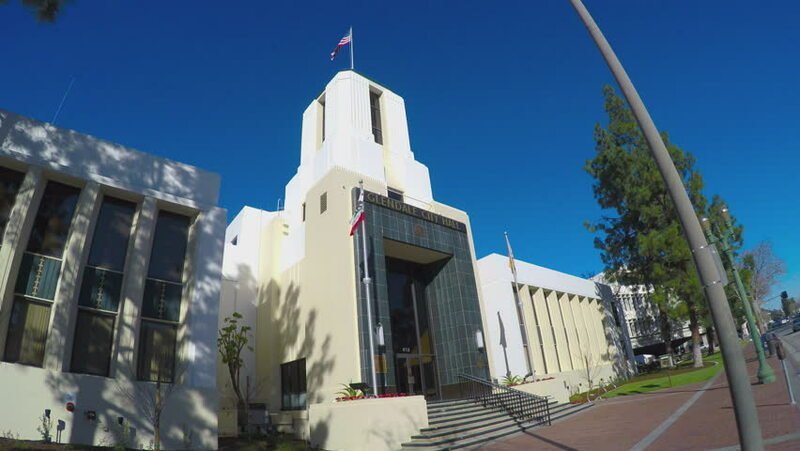 4k00:09GLENDALE, CA/USA: February 21, 2016- A shot shows the front entrance to the Glendale California City Hall building. A sign for the location is seen over the vaulted and tiled door frames.